I decided to be brave today, and create my own macaroni & cheese recipe from scratch :). I haven’t had homemade macaroni and cheese in over 3 years because of my newfound allergy/intolerance to milk. Today was a bit on the chilly side, and I really craved some yummy comfort food to keep me warm. This macaroni & cheese recipe blends in some elements of the traditional recipe made with a roux with almond milk and some nutmeg to round out the flavor. The result was a thick, creamy, and delicious macaroni and cheese sure to keep you warm! 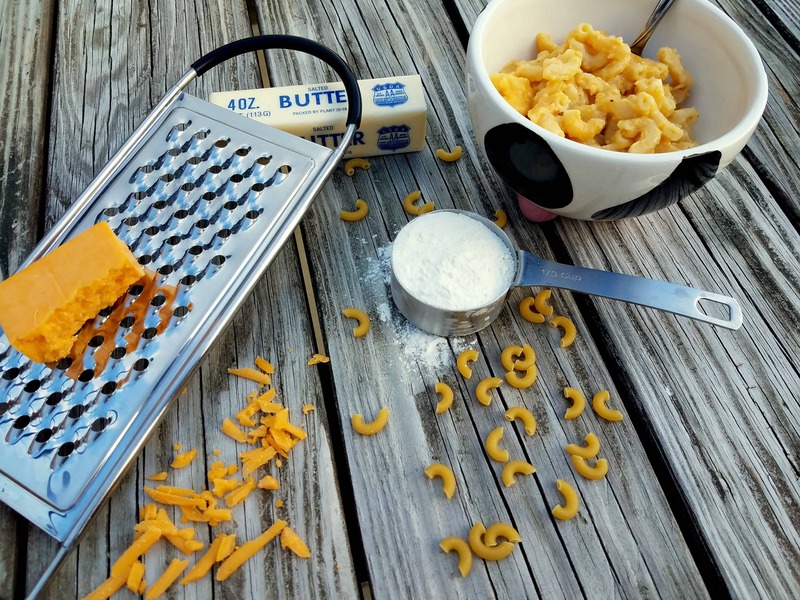 This macaroni and cheese recipe is amazing and super creamy. The perfect comfort food to cozy up with on a cold night! Bring a pot of water to a boil. Cook pasta until al dente, according to directions on the package. Drain pasta when finished cooking. While the water is boiling, melt butter in another pot over medium heat. Once the butter is melted, add the flour. Mix with a wooden spoon to form a roux. While constantly stirring, cook the roux for 3 minutes (this will eliminate the flour taste in the final dish). Add ~1/3 of the almond milk to the roux and mix until combined. Pour in another ~1/3 of the almond milk, mix until combined again. Then pour in the remaining almond milk and mix until everything is combined. You should end up with a thick soupy sauce. Pour macaroni and cheese into a 9″ x 13″ pan and bake at 350F for ~30 minutes to infuse some crispness. You can also top with some panko bread crumbs or bacon prior to baking. If you use 12 oz of pasta and don’t bake, you end up with a good pasta:sauce ratio. If you bake, you will end up with a thinner coating of sauce on the pasta. If you prefer a really thick macaroni and cheese, I would recommend going with 10 oz. of pasta. Thanks so much for sharing your recipe! I don’t have an intolerance but have been trying to change my diet and this looks like something I would like to try. I love mac and cheese!!! 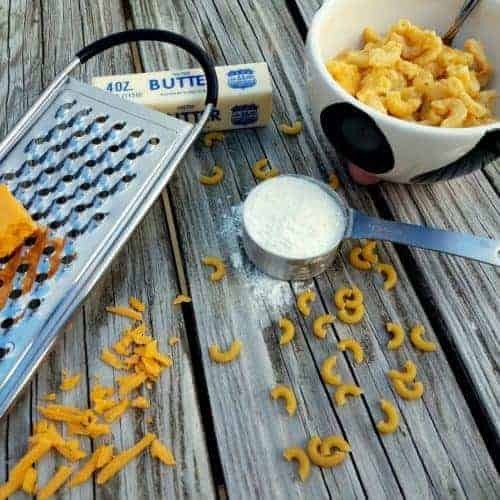 Mmmm I love mac and cheese. It’s interesting that you add the pink Himilayan salt. I bet it adds a different taste. Ooh this is such a great recipe. 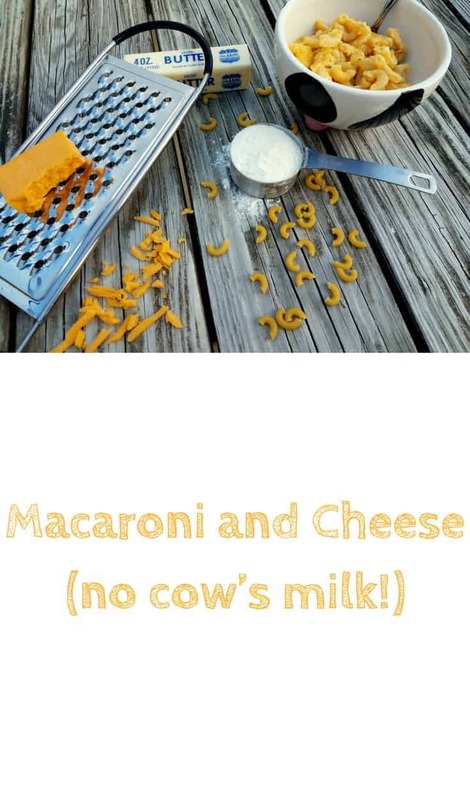 It is so awesome that this has no cows milk in it too which means everyone can enjoy the wonder that is mac n cheese! Yum, what a great recipe! It is so good that you don’t need to use cow’s milk – perfect for people who are intolerant. This recipe sounds amazing! I shared it with my wife and we are most definitely adding this dish to our dinner tomorrow. I don’t have much of an intolerance to dairy however I do feel the affects when I have to much. I recently started replacing milk in my coffee with Almond Milk and I love it. Perhaps I will be brave and replace milk in this recipe as well. Thanks for being brave and trying out this recipe. I will keep it for future reference.